The Brice brand has been synonymous with the provision of quality commercial food equipment since 1939. NZ Retail Equipment's partnership with Brice enables us to provide high quality food service and hospitality equipment sourced from this prestigious European manufacturer. Supplying a large range of equipment including meat and other food processors, slicers, scales, vacuum packers, we can help you with your requirements whether you are a small restaurant, a retail deli or a large commercial kitchen. We have access to the full Brice range with some of the most popular until shown below. The slimline Brice Model SWSS Benchtop Wrapper is a popular choice for bakeries, greengrocers, butchers and delis - wherever there is a food packaging area. The Superwrapper is a versatile and reliable method of displaying your goods to their best advantage. Smple to use it wraps and “heat seals” foodstuffs in PVC food packaging film for customer convenience. A heated element bar instantly cuts the film at the required length. Click here for brochure overview. A real restaurant packed into a small space. Ideal solution for premises that need an elegantly designed oven with professional performances for different cooking needs: pizza, bakery products, ready meals, pastry, appetisers. For pizzas, the refractory stone guarantees the same fragrance as a wood oven - absorbing the moisture of the pizza dough and creating a pizza with a super crispy base. Click here for brochure overview. We supply an extensive range of high quality slicers to suit a variety of requirements. Click here for brochure overview. The Lampack6 packs and seals food products in pouches and can be used to wrap a wide variety of food types. 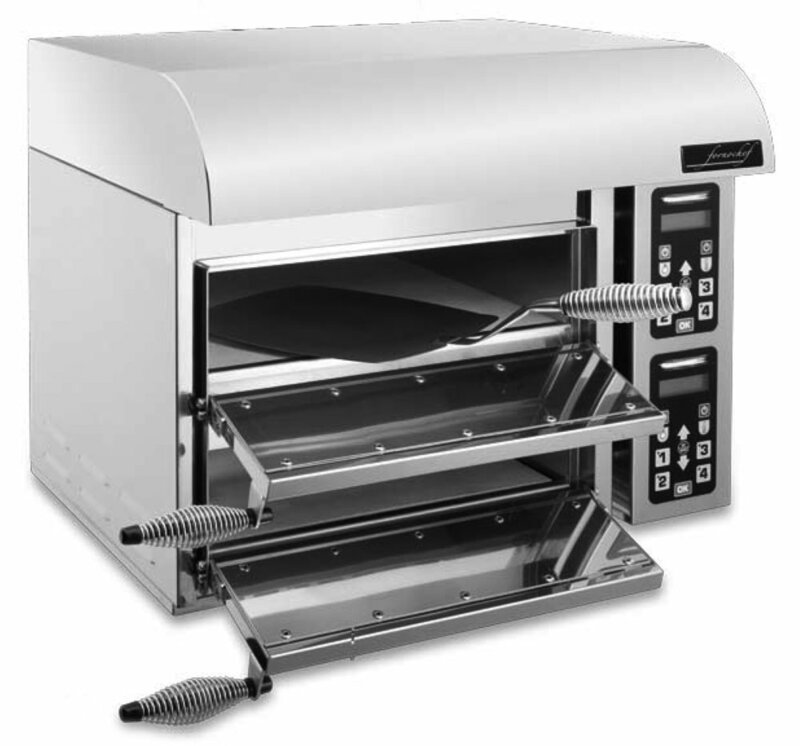 The body and chamber are constructed of stainless steel and has a clear heavy duty sealing lid. Click here for brochure overview.